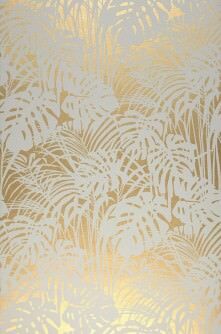 Golden Wallpaper for Golden Times – find them in the online shop now! The value of gold is everlasting; hence people have for centuries gone through untold hardship and danger to get their hands on it. 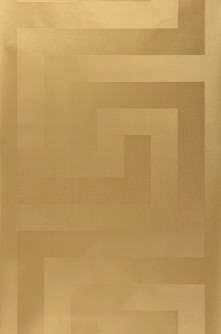 This most royal of precious metals still represents incredible glamour, power, and beauty. 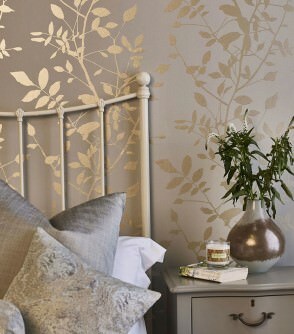 Golden wallpapers are the epitome of luxuriousness and lend impressive grandeur to any room. 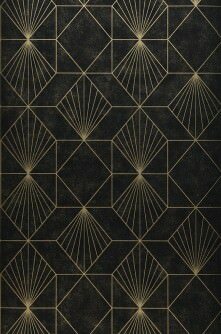 Patterned or relief wall-coverings hint at how the Sun Kings must have felt in their legendary castles and immerse the beholder in a world of luxury and security. 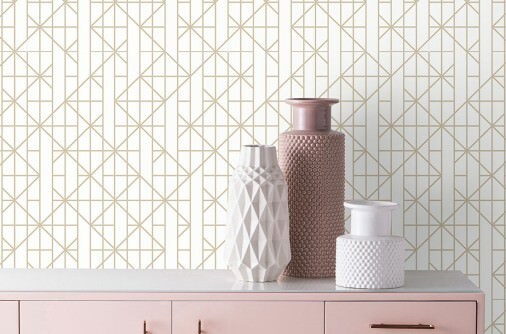 Discover the breath-taking, sophisticated wall décor in our gorgeous new Gold Range, and let the golden times begin for you today! The King of the jungle – a wild, untameable animal which, in astrology, stands for power, strength, grandeur, pride, optimism, strength of will and charisma. 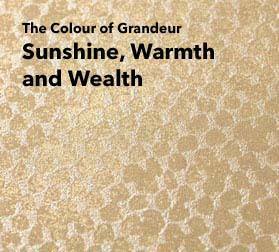 These attributes are all mirrored in our beautiful golden wallpapers, as they are equally impressive in terms of vibrancy and impact. 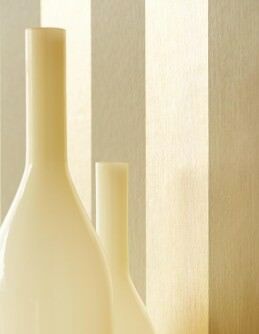 Combined with patterns and material, they create a unique ambience, an extravagant highlight in your home. 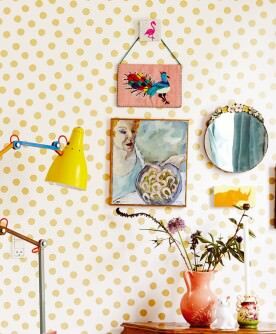 Golden wall décor requires space to unfold its effect, and expressive colours like crimson, purple, turquoise, or black create magical moods. 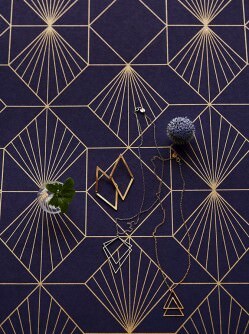 Flowers, baroque motifs, stripes – you will find your personal gold star in the fabulous new range. 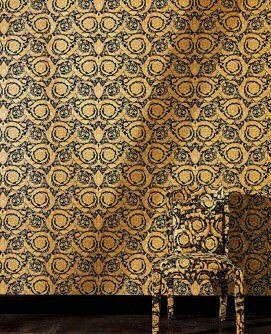 Lavish, epochal, unsurpassed - nothing can beat gold, which is why golden wallpapers add an exceptional touch of grandeur in its most unadulterated form to any ambience. Forget modesty, and embrace opulence and luxuriance instead. 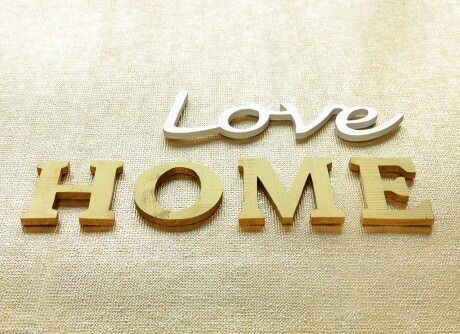 Gold symbolises warmth, it reflects the sunlight, and extroverts tend to adore decorating their homes with golden elements. 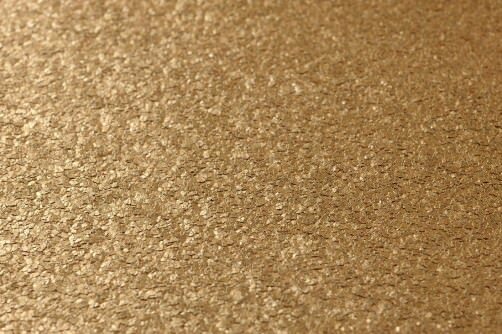 Granted, it takes a healthy dose of self-confidence to introduce gold to your interior design: Other hues and shades might be subtle - gold is fabulously brazen. 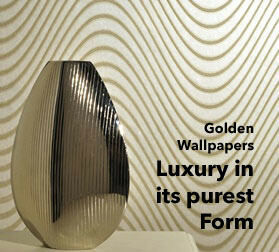 Indulge in the gold rush and realise your dreams of glory – with the design wallpapers from our innovative collection.